China’s box office has grown rapidly to become almost as large as the US, creating enormous opportunities for the global film industry. This event, the first of its kind in Australia, is designed to bring Chinese and Australian high-net-worth investors and venture capital funds to meet with the Australian film industry to capture opportunities from this growth. The Australian and Chinese governments have a co-production agreement that will benefit the Australian film industry. Why is now the time to invest? Australia’s film production talent is on par with the US but the local industry lacks capital…which partly explains why Australian film have tended to be lower budget ‘arthouse’ productions rather than more expensive ‘blockbusters’, and why Australian talent moves to Hollywood where the capital is. The global audience for entertainment assets has doubled due to the entry of Chinese mass consumers for film and TV. Product placement opportunities and its de-facto advertising opportunities for Australian industries and regions are substantial, given the unique Chinese acceptance for such placements, & their willingness to buy product. Given the above points, Australian and Chinese investors should now take a fresh look at investing in Australian films (not arthouse but mass consumer ‘Chinese-angle’ productions). Investments can also be made in the film industry itself e.g. film production companies, animation studios, film production schools etc. High-net-worth Chinese and Australian investors, SIV /VC and private equity funds, film investment funds, film financiers. Australian film industry executives including producers and creative talent, actors, directors, screen writers, film insurance, film technology, applications, drone filming, computer-generated-imagery / special effects, entertainment lawyers and accountants and service providers, Government entities tasked with promoting the film industry. All delegates can purchase an e-copy of BasisPoint’s 30+ page report on the Aus-China Film Investment Market at a discounted price of $200 + GST (retailing for $450 + GST). Official release of the report is on the 4th September 2017. MC – Dr Tony Chu | A paediatric doctor who also writes, directs and produces with a focus on embracing Australian and Chinese elements into his creations. 3:10pm: David Chin | Presenting his findings on the Aus-China film investment opportunity and the introduction of private capital sources and new investment structures. David is the Managing Director of Basis Point, with 30+ years in the financial and research industry with a focus on Chinese and Asian investment flows. Lesley Hammond, one of Australia’s most experienced producers in the Chinese market, collaborating extensively for 20+ years with the China Film Co-Production Corp.
Katie Tian, a new film producer and Co-Founder of Anji Investment Group, which facilitates investment groups from China to Australia, particularly from China’s film industry. A medical graduate of Sydney University, Tony is a paediatric doctor who also writes, directs and produces. As a filmmaker, he is an experienced, award-winning Director-Producer, having made over 35 shorts and numerous corporate videos. As a screenwriter, he has written 3 original feature-length screenplays (all medical drama-comedies) that are ready for production. International. His movie INFLAME takes a modern look at ‘MASH’. David Redman, along with Tony Coombs, are co-directors of Asia Media Capital, a new Melbourne based film investment fund with backing from Chinese capital sources. The fund aims to invest in a slate of feature film, TV and multi-platform projects with a focus on Aus-China co-productions. Katie Tian is the co-founder of Anji Investment Group which facilitates and accompanies Chinese privately owned investment groups on their visits to Australia and U.S, particularly from China’s film industry. She has facilitated meetings for Australian film industry executives with their Chinese counterparts including officials in the China Film Bureau and China Film Co-production Corporation. Early this year she joined Talent Entertainment, a new film and television production company as company Director. Raised and educated in Sydney, Katie spent close to 10 years working in China after graduating university. Her most recent role prior to returning to Sydney in 2014 was with the Australian Embassy in Beijing. David founded Basis Point 20 years ago to provide insights, connections, and investment platforms for the Aus-China & Aus-Asia institutional, wholesale and high-net-worth investment community. His has become a ‘thought-leader’ in the Significant Investor Visa (SIV) and Chinese investment flows into Australia. As a second generation Australian with a Malaysian-Chinese heritage, he is keen to facilitate greater engagement between recent Chinese/Asian migrants and expats with the wider Australian community. His career background is in derivatives, futures and hedge funds, consulting to government and semi-government institutions and exchanges globally and in the Asia-Pacific. He was previously Head of Marketing at Sydney Futures Exchange (SFE), and is the author of Thy Fiefdom Comes, a fantasy/science fiction novel. Lesley has worked extensively in and with China for over 30 years and is one of Australia’s most experienced screen and live theatre producers. Prior to co-forming LJM Productions, she was a founding Executive Producer and member of the Board of Directors of the South Australian Film Corporation which produced some of the most internationally successful early classics of the Australian contemporary cinema. She has been a member of several high level Australia-China delegations for film and television, performing arts and also trade. Lesley has worked in collaboration with key Chinese Government agencies including China Film Co-Production Corporation and China Performing Arts Agency for many years. Daniel Joyce brings a background in film finance and production to TDVC – assisting investment decisions in the Australian feature film market. TDVC is an SIV compliant Venture Capital Fund focused on high quality, early stage investments, and is one of the few VC funds with a special interest in film and film technology. As a feature film producer Daniel also packages projects for the international market, most recently including a global Netflix acquisition, financed via a mix of investment from the Australian government, private investors and international buyers. Know My Life has been filming the art of storytelling since 2015. In this short space of time, it has a strong association with the Hollywood community as well as the Australian Film and Television industries. Know My Life has a vision to “Capture Every Story” and film media is seen as cultural and historical significance for every community. The unique nature of combining business interests into compelling content has led to collaboration with large businesses including Commonwealth Bank and Fairfax Media over the past 12 months. As an investment strategy, Know My Life produces entertainment, creates awareness, builds reputation and introduces opportunity to it’s clients and the community in areas of everyday life, business and health. On this basis and being driven by outcomes, Know My Life builds relationships that develop further opportunities through targeted film content in each market. Hardeep Girn is the Executive Producer and CEO of Know My Life. Since 2012, Hardeep has developed relationships with the media industry within the Australian, US and now into the China and South American markets. His passion is storytelling and his experience across a number countries has given him the ability to influence business and the community through film. LJM Productions was formed 24 years ago by Lesley Hammond and Jenny Walsh. During this time they have produced a mini-series, a feature film and 9 television specials in China which screened in over 100 countries. LJM has collaborated extensively for over 20 years with China Film Co-Production Corporation. It currently has a slate of China-Australia feature films at various stages of development for the international market including China. Lesley and Jenny have developed the stories drawn from their extensive experience in China filming in ten provinces and many cities. The films are aimed at a commercial market and include two comedies, an adventure drama, an eco-thriller and a musical. The films will take advantage of the Australia-China film treaty enabling them to bypass China’s foreign film quota and be automatically distributed in China, taking advantage too of the Australian Government film production tax offset. The films will all have top level writers and directors and at least one cast member with box office pulling power from both countries. 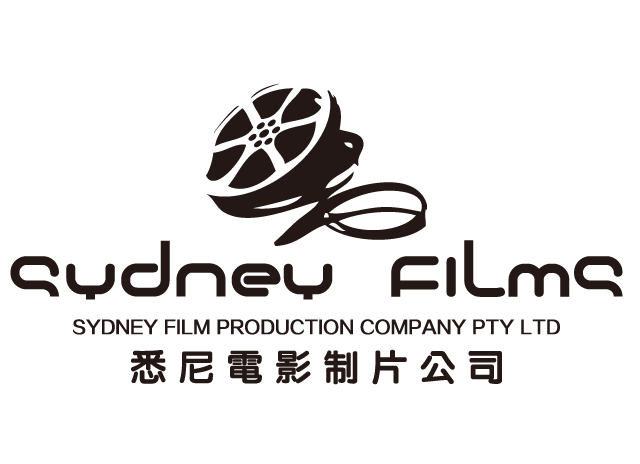 Sydney Film Production Company Pty Ltd, Trade as Sydney Films, is a subsidiary company of Pacific Holdings Corp, it is one of Australia’s largest Chinese Australian film production company providing solutions, aids and facilitation to the Australian – Chinese film industries. Sydney Films owns a production facility situated in Stanmore NSW, which consist of a Cyclorama Studio, Screening Room, Editing Suites and Production Offices. In the past 18 months, Sydney Films was responsible for bringing to Australia some major Chinese Film and Television productions as location shoots. In April 2014, Sydney Films had also launched an Australia and China Co-Production film slate in Beijing named “Red Billion”, which consist of 14 movies to land in Australia in the upcoming 3 years. Sydney Films also owns film adaptation rights towards a multi-award winning story “The Paper Menagerie” (The Hugo Award, The Nebula Award, The World Fantasy Award), which is currently under development. And is also working with the Red Billion partners on developments towards many projects including existing IP: Story of the North-East, and for global audiences: The Legend of Wolf Girl. “Young Dragon in Paradise” is a comedic drama that tells the story of a Chinese-born teenager living in Australia who battles a bully rival to win his dream girl. The teenager struggles to fend off his Chinese Tiger Mother who is obsessed with him scoring a University scholarship. The last thing the teenager wants is the visit by his traditional Grandfather from China. Filmed mainly on the Gold Coast, Queensland, “Young Dragon in Paradise” captures the invigorating essence and stunning visuals of Australia’s internationally renowned outdoors. The story is imbued with a youthful energetic spirit that promotes optimism. It entertains while conveying themes of life that matter to each of us. It’s a story that everyone can connect with. • Advanced stage of development. • Beijing-born Australian award-winning Director. • Australian and Chinese Producers. • A number of attachments in place. • Eligible for 40% Government Rebate (Producer Offset). Michael, a writer across many genres and producer for film and television, is recognised for his commitment to aligning artistic aims withcommercial imperatives. He has worked in creative enterprises for over 30 years, managing projects in Australia and South-East Asia. He is an alumnus of Screenwriting U in Los Angeles. His television and film work includes “Precognition’, “Backstage Mojo”, “Model Madness”, and “#1 at the Apocalypse Box Office”. Michael is Writer and Producer for “Young Dragon in Paradise”. An award-winning passionate filmmaker, Member of ACCTA, Dee Dee works in Chinese and English, with screen credits as Writer, Director, and Producer. Awarded Best Director at the 2014 Australian Screen Industry Network Award. Her filmshave featured in many international film festivals. Dee Dee’s film “Touch of Heart” was the only film selected to screen to represent the Huayi Brothers Media Night at the 2013 Shanghai International Film Festival. Dee Dee is Writer, Producer, and Director for “Young Dragon in Paradise”. 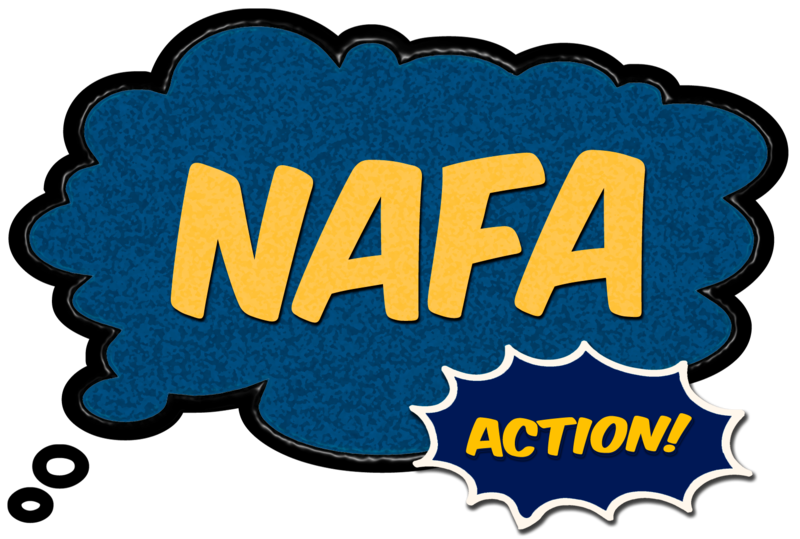 NAFA is a networking group of actors, screenwriters, and filmmakers renowned for being creative and productive. We strongly believe in chasing our own opportunities to succeed in a tough industry.